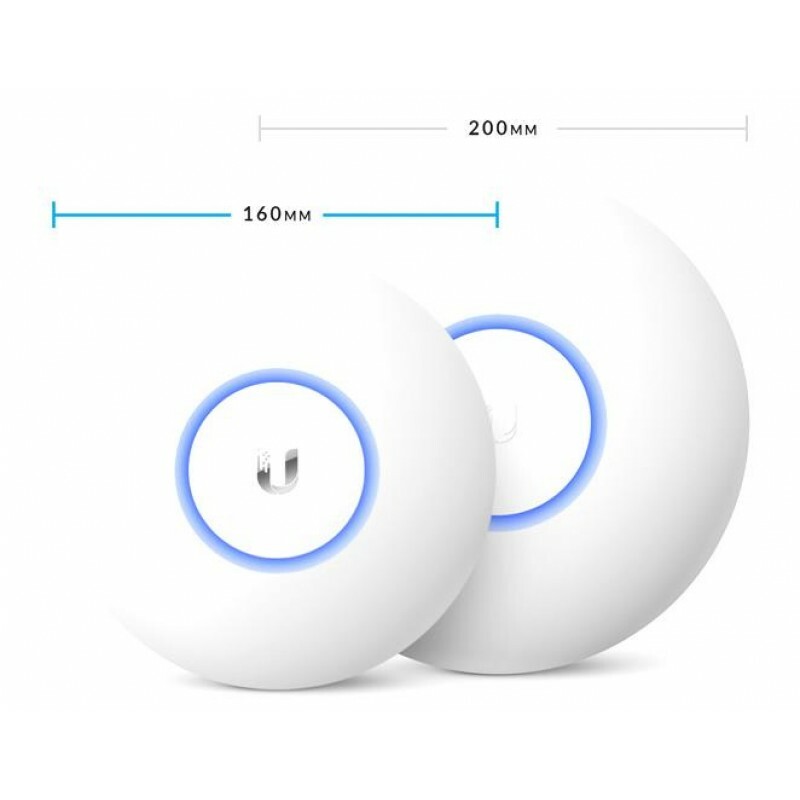 Innovative Antenna Design The innovative antenna design provides a long-range, symmetrical-link coverage area, and the antenna gain of the UniFi AC LR AP performs better than one-way, high transmit power does for connecting distant clients. 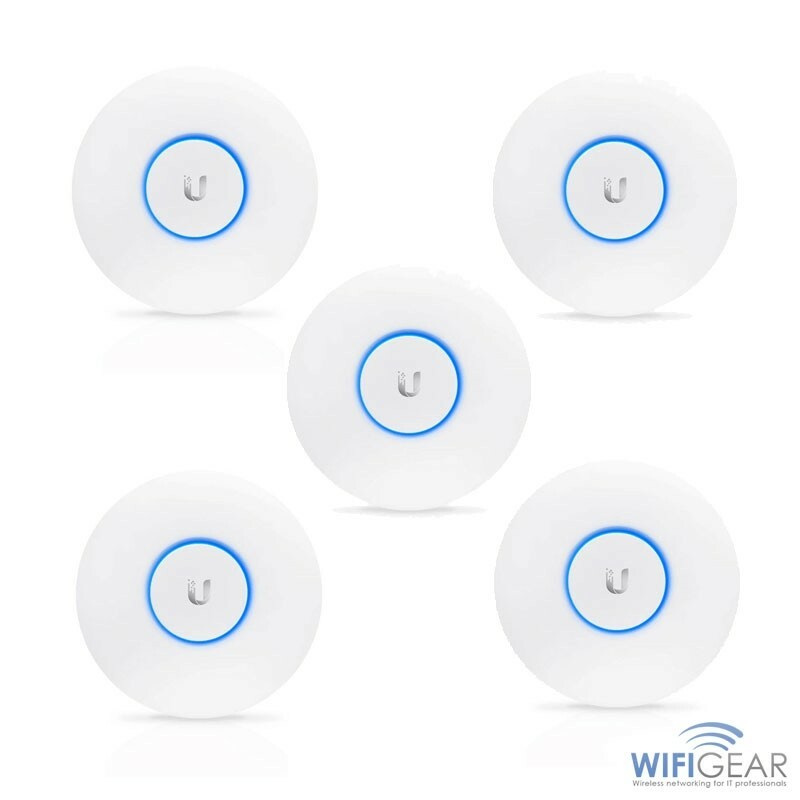 Designed for Optimal RF Performance Newly redesigned UniFi Controller optimizes RF performance; Spectral analysis, band steering and airtime fairness. 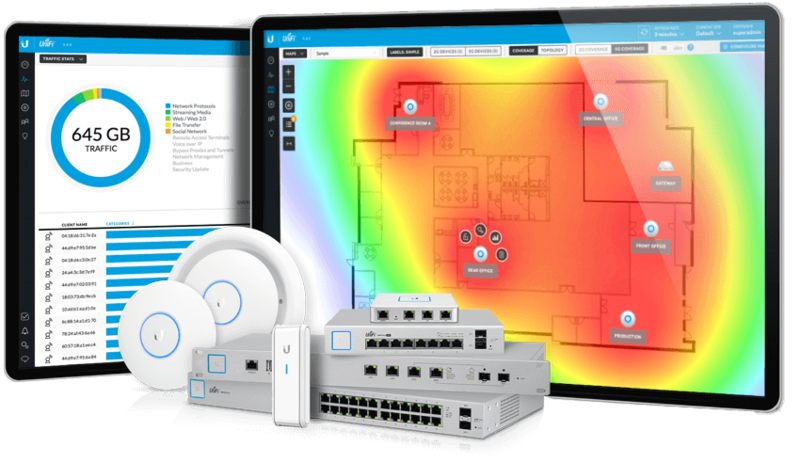 Scalable Enterprise Wi-Fi Management The UniFi Controller v4 software is a powerful, enterprise wireless software engine ideal for high-density client deployments requiring low latency and high uptime performance. With its software-based capabilities, the UniFi virtual control plane allows for unlimited scalability under one centralized controller. 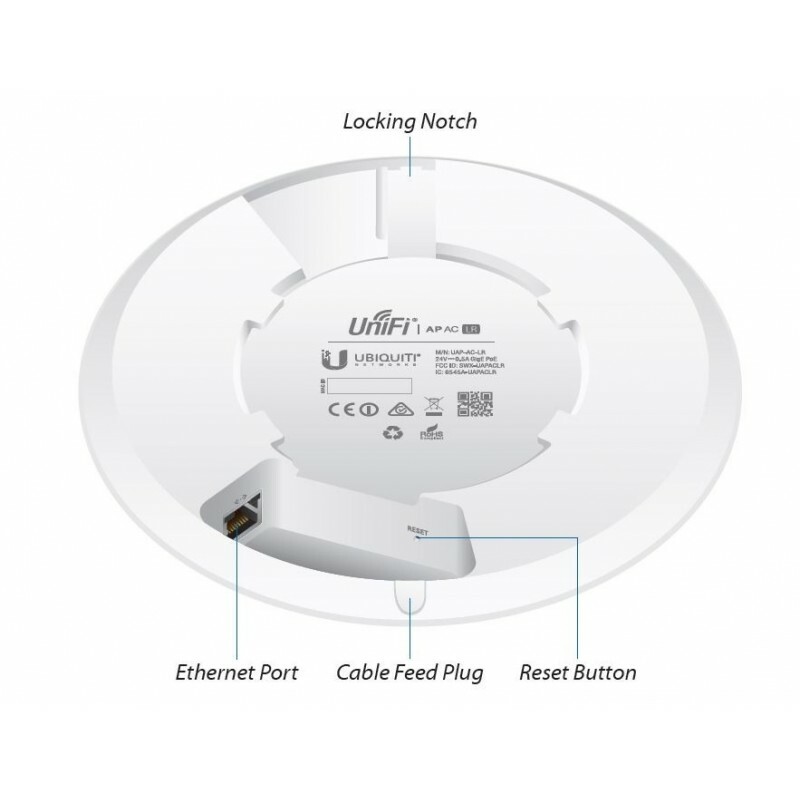 Remotely access the UniFi Controller to upgrade deployed UniFi APs while in the field. 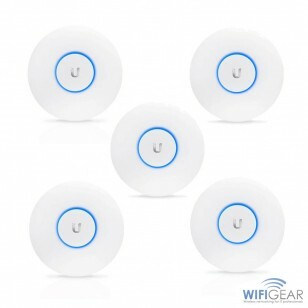 UniFi is an end-to-end solution for all wireless networking. 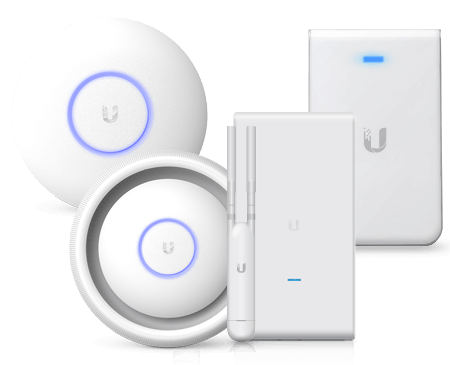 Ubiquiti's UniFi Controller does just what it says on the tin - it unifies all of the kit you would normally have to go and manage from a wireless controller or directly and makes your entire network manageable from the cloud. From scheduling or sending live tannoy broadcasts on the UniFi EDU Access Point to viewing multiple live CCTV feeds, you can manage your system from anywhere, on any device. 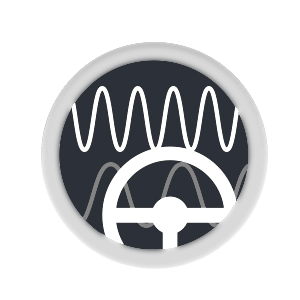 Pushes clients to faster interference-free 5GHz channels when the device has the capability to switch over - this speeds up client devices and reduces congestion on the 2.4GHz frequency. 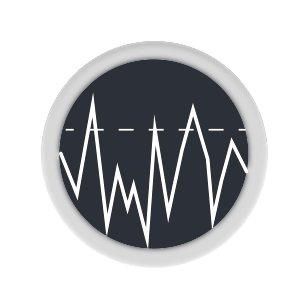 Collects feedback on full 5GHz and 2.4GHz channel interference so you can adjust your network for optimal performance based on your analysis. Fully cloud managed controller included in access point purchase - control your entire network from any device with the touch of a button.